The healthy aroma of frankincense has infused houses of worship for centuries and it is no surprise when researchers found out that the scent can actually raise your spirits. A compound called incensole acetate, found in frankincense resin stimulates production of protein which elevates mood by affecting the areas of the brain that respond to anxiety and depression drugs. When you inhale the smoke of the burning resin, mood-elevating results are immediate. 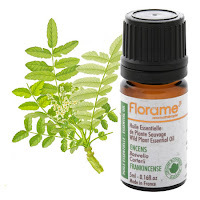 Try one of these when you've got the blues: light a frankincense-infused candle, add 10 drops of essential oil to a bath, or dab a few drops (diluted with carrier oil) onto your wrist. YOu find the most interesting things to share. Vanilla oil in the kitchen. Or cinnamon. Makes even the kids feel better. Can you also use it when you're tickled pink? Hey big thanks for sharing this.. I think that will prove to be a great source for me as my mood keeps on changing. But how safe it is.. I mean what if some is getting addicted to it? ?